Hope you enjoyed the first segment of steampunk week here at The Galaxy Express. Right now we’re going to narrow the focus to discuss the steampunk stories that are currently branding their thermological mark on the world. As a literary genre, steampunk is poised to spill beyond its niche market gasbags to become a major trend. * It’s stylish, involving lots of shiny brass and oversized rivets. * It offers stories for everyone, whether you prefer the dark and dangerous territory of steam-powered inventions, the heady inner workings of an analog computer, rousing airship battles, romance and witty banter, or insightful commentaries on human nature. * Steampunk is like a sponge—it easily absorbs other genres such as mystery, romance, action/adventure, and horror—yet still retains its signature form. * More people know about it thanks to this NY Times article. * Lots of folks have been blogging about steampunk and spreading the buzz. 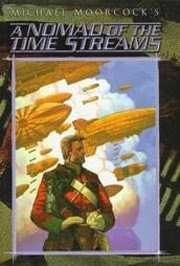 * Steampunk is showing up in more books and films, which are the subjects of my next two posts. For the love of steampunk! Jennifer Jackson and Donald Maass of the Donald Maass Literary Agency have been busy with steampunk projects. Jackson represented Jay Lake for his debut novel MAINSPRING, and ESCAPEMENT hit bookstores earlier this year. Maass represented S.M. Peters for WHITECHAPEL GODS. And Juno editor Paula Guran is obviously onto something because she recognized the wonderful story of Dru Pagliassotti’s CLOCKWORK HEART, which has garnered excellent reviews. These only scratch the surface of steampunk books on shelves right now, with more to come. The Galaxy Express: At AgentQuery.com, you're the only agent whose name pops up when one searches for "steampunk." Clearly, you're a fan! Which steampunk story affected you the most and why? Colleen Lindsay: I'm the only one? Okay, well, I may be the only agent who's actually broken down the genre into so many sub-genres and listed them but I'm absolutely sure that if you query most of the agents who represent speculative fiction, they'd happily accept a well-written steampunk query. When you say steampunk story, I'm going to assume that you mean novel. I don't read much short fiction. (Ducks as a dozen anthologies are hurled at her.) I find that I like having a chance to get to know the characters and live with them longer than I can in any piece of short fiction, so - unless someone I know and trust (like Ellen Datlow) points me at a story s/he thinks is particularly strong - I stick to novels for pleasure. 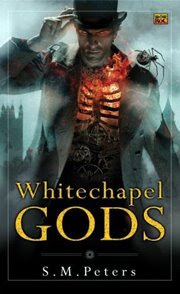 That being said, there are a lot of steampunk novels that have really stuck with me: The Whitechapel Gods by newcomer S.M. Peters is a really extraordinary novel. I think that if more people knew about it, they'd be pleasantly surprised. His world-building is on par with China Mieville. I particularly love the idea that in his alternate version of London, people are dying of a disease called "the clacks", a disease that slowly turns a human being into a clockwork machine. It's really good stuff. 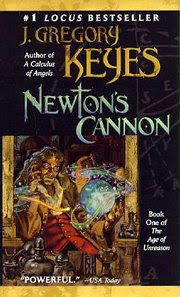 One of the best steampunk series out there is by Greg Keyes, his Age of Unreason series (beginning with Book One, Newton's Cannon), which takes place in eighteenth-century Europe and America, and features an alchemically-obsessed Isaac Newton and Benjamin Franklin. A number of YA and middle-grade authors are writing excellent steampunk. Philip Reeve's Hungry City Chronicles, beginning with Mortal Engines, is one of the most imaginative alternate worlds I've read in ages. Entire cities move around the earth, London being the largest and most dangerous, chasing and devouring smaller cities in order to absorb all of their resources. This is really mind-bending stuff for a middle-grade book. Also, YA author D.M. Cornish's Monster Blood Tattoo is an utterly compelling, sort of Dickensian-steampunk about an orphaned boy. I read it in one sitting, and then I read it all over again. A lot of what has been called "The New Weird" is just a different spin on steampunk. It may not be set in Edwardian or Victorian England, but it has all of the other relevant elements in place: a recently industrialized society in an urban environment where elements of thaumaturgy or alchemy have taken the place of technology. 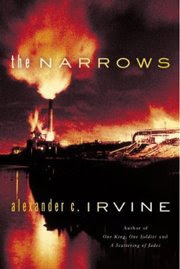 One great (and sorely overlooked) steampunk novel is Alex Irvine's gorgeous The Narrows, a novel set in WWII Detroit, in a Ford factory where Henry Ford is creating golems instead of cars, intending to use them to help the Nazi war effort. It's an amazing book! 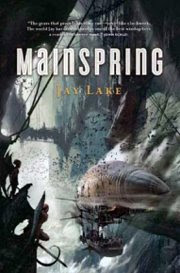 Jay Lake's recent novel Mainspring is epic steampunk in the best sense of the word, a world where the Earth's rotation is controlled by gears like a wind-up clock...and the clock is slowing down, placing the entire world in peril. What a brilliant imagination. 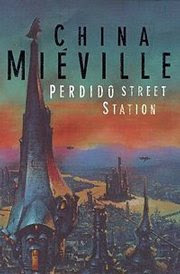 And of course, probably my favorite modern steampunk novel, China Mieville's Perdido Street Station, which I think can reasonably called a modern classic. TGE: How would you characterize the current market for steampunk books? What kind of steampunk stories would you like to see from querying authors? CL: I think that there's still a strong market for well-written steampunk. The key to a good steampunk novel - as with any genre novel, of course - is that it can't rely on gimmicks and tropes. It actually needs to be a good book as well, with a great story, memorable characters and meticulous world-building. You wouldn't believe how many queries I get in a day that are simply a mish-mash of elves, wizards, demons and thieves all thrown together into an unremarkable quest story, where the whole of the world that the characters inhabit takes place inside the walls or gates of one city or kingdom. Because the rest of that world doesn't matter? Can you imagine living your real life like this? Of course not. So why would anyone want to read an author whose storytelling was so myopic? TGE: Is there anything else about steampunk you'd like to share? CL: Yes. I'd say three things: One.) 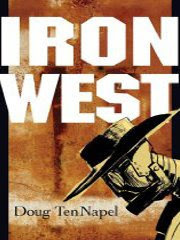 Search out the classic steampunk writers of the 80s and 90s: Tim Powers, K.W. Jeter, Michael Moorcock, etc. Read and study them and see why their books were considered so innovative. Two.) Read broadly and outside your comfort zone. If you normally don't read comics or manga, make it a point to check out some of the great steampunk-themed sequential art that's available: Fullmetal Alchemist by Hiromu Arakawa, Pumpkin Scissors by Ryoutarou Iwanaga, Iron West by Doug TenNapel. There's so much great resource material out there. Just go crazy and enjoy yourself. Three.) Remember when you're writing your steampunk that what agents and editors want to see is your words, your storytelling, your imagination, and your writing ability....what they don't want to see is your homage to your favorite already-published writer. Thanks again, Ms. Lindsay, for your knowledge and insight. I can hear the resounding crash as all of our TBR piles overflow with those steampunk titles! You can also listen in about where steampunk is headed by clicking on over to Readercon's Steampunk panel - the podcast. Here are Ten Steampunk Novels You Ought To Read. 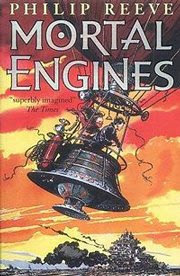 LARKLIGHT (great for youth, too, if they can pry it out of our hands) by Philip Reeve, and the STEAMPUNK anthology. If that’s not enough and you’re determined to plow through practically all of the published steampunk novels—and I wouldn’t blame you one whit—see this wikipedia listing for an extensive list of literary works. There’s even Steampunk for Kids & a Clockwork Girl comic book. Campbell-Award winning author of CARNIVAL Elizabeth Bear’s ALL THE WINDWRACKED STARS, BY THE MOUNTAIN BOUND, and THE SEA THY MISTRESS, a Norse-influenced post-apocalyptic steampunk noir fantasy series, to Beth Meacham at Tor, in a very nice deal, by Jennifer Jackson at the Donald Maass Literary Agency (World). Dexter Palmer's THE DREAM OF PERPETUAL MOTION, set amidst a steampunk metropolis and the rise of the mechanical future, the tale of a decades-long love affair thwarted by an evil genius obsessed with inventing the perpetual motion machine, to Michael Homler at St. Martin's, by Susan Golomb at the Susan Golomb Agency (NA). I thought this sounded rather smashing: Tor editor Liz Gorinsky is currently working on two steampunk novels. Gail Carriger, who stated in the comments section of this Dear Author post that she writes steampunk. She also posed the question Steampunk: A Symptom of Social Rebellion? Author Ciar Cullen is working on a steampunk. Click here to read about her progress. Warning: Awesome free reads ahead! Of course, who wouldn’t want a little bit of steampunk heaven for his or her very own? The Galaxy Express is here to deliver. 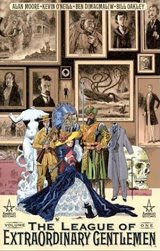 One lucky passenger will win a paperback copy of the first volume of Alan Moore’s LEAGUE OF EXTRAORDINARY GENTLEMEN. 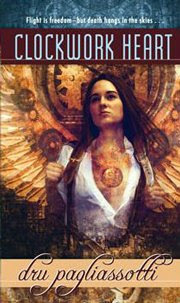 Another lucky one will win a copy of Dru Pagliassotti’s CLOCKWORK HEART! To enter, leave a comment for this post. Contest is limited to U.S. residents. The deadline for the drawing is Thursday, September 25, 2008, at 9 p.m. EST. If you’re of a mind, let’s have some fun with it. If you owned a steampunk airship, what would you name it?